Flexitable have created a range of innovative, multisensory manipulative maths grids: the range consists of multiplication / division, addition / subtraction, decimal / fraction / percentage and the standard 100 Square grids. 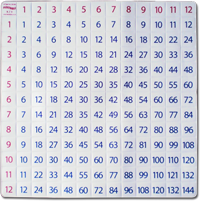 These grids are ideal teaching aids, which can help children see patterns in numbers, as well as introducing some fun into maths. As well as 4 grids each kit also contains a 72 lesson CD complete with training videos. There are real financial pressures for parents at the beginning of each school year when buying new resources for their children. We are, therefore, pleased to advise that Flexitable have joined up with SEN Books to offer a special Back To School promotion to help reduce this cost. 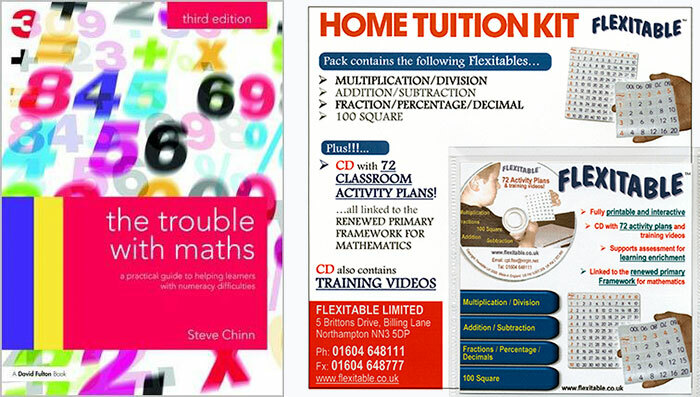 Buy a copy of the just published 3rd edition of Steve Chinn’s book ‘Trouble with Maths’ together with a Flexitable Home Tuition Maths Kit.